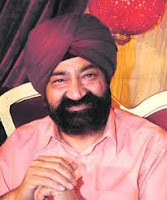 New Delhi: Famous comedian Jaspal Bhatti has died in a road accident near Jalandhar. Bhatti was going to Nakodar from Bhatinda for the promotion of his upcoming film 'Power Cut'. Accident happened on Shahkot area of Jalandhar. Bhatti's car collided with a truck near Jalandhar. Bhatti's son and actress Surilie Gautam of his upcoming film got injured in the mishap. Both the injured have been admitted to the hospital. Jaspal Bhatti was one of the pioneers of Indian comedy, and his shows 'Flop Show' and 'Ulta Pulta' were one of the earliest socio-political satire works on TV. The car in which the 57-year-old actor, director was travelling hit a roadside tree near Shahkot in Nakodar area of the district around 1 am, Bhatti's associate Vinod Sharma said. Sharma said that Bhatti was going to Jalandhar from Bhatinda for the promotion of his Punjabi film 'Power Cut' scheduled to be released on Friday. Bhatti's son Jasraj, who was driving the car and film's heroine Suril Gautam were injured and rushed to a hospital at Jalandhar. Sharma said that Bhatti had been traveling during past few days for the promotion of his new film. The cremation is expected to take place later Thursday evening after his body is brought here after completion of various legal formalities, including post-mortem, Sharma said. Bhatti leaves behind his wife Savita, a son and a daughter.